Show: All ManufacturersBriggs MedicalCare Apparel Industries, Inc.Carex Health BrandsCleanis, Inc.CleanLife ProductsDKB Household USA CorpDrive MedicalHygienease Technologies, LTDMaddak Inc.North Coast Medical, Inc.Principle Business Enterprises,Salk, Inc. 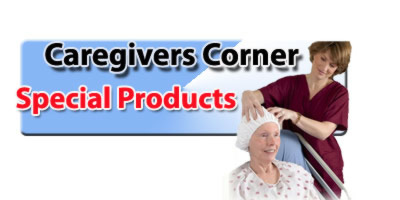 These products help the caregiver take care of their loved one at home. From personal experience, I know that the role of a caregiver presents many challenges. This is why I have tried to assemble the most helpful products that I had found to meet these challenges. Stylish hospital gowns promote patient comfort and make bathroom procedures and bathing an easy task. The NO RINSE product line was indispensable for bathing and shampooing. The NO RINSE Body Bath, Shampoo, Shampoo Cap and Bathing Wipes helped a great deal with personal hygiene. Incontinence issues are managed with the use of the Incontinence Underwear, Waterproof Mattress pad, and seat protector. The Economy Elevated Toilet Seat, Carex Portable Shower Bench and the Guardian 3-in-1 Heavy Duty Commode also proved useful. If Edema is a problem, you will find that regular shoes and socks won't fit. Our Edema Slippers, Comfort Strides shoes and SwellSox were the answer. The role of a caregiver is one of the most difficult tasks a person can undertake. I hope that these products make this experience easier for the loved one and for the person giving the care.